I wonder about Paris. Is it fake? Did it ever exist? Why is it so clean? Some of the old alleys have been closed-up, collapsed, filled-in. Were they ever real? Is Leon-Paul Fargue still dead? Where are today’s egg worshippers? I’ll have the ouefs enmeurette at Chez Yvonne, merci. It’s gone? Merdre! 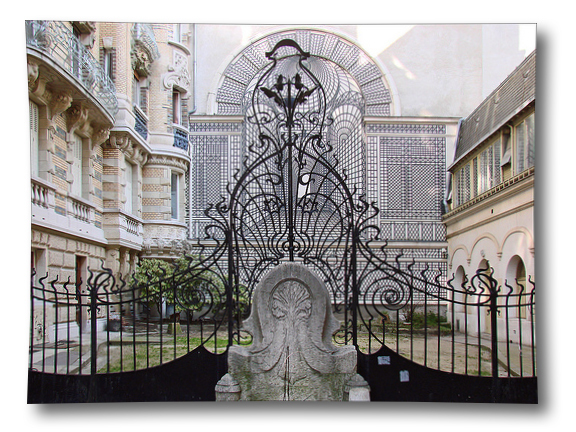 The Hotel Gay Lussac is spitting distance from Jardin du Luxembourg. My room has a bed, a chair, a chiffonier, a little dim lamp. My omelette is jambon. With a tartine. Now I’m in the Jardin looking at the Palais, where Watteau lived and worked in 1707/10. Now I’m in the Louvre. What is this big picture of a cheerless gink in a white jumpsuit? What’s that donkey doing down there? 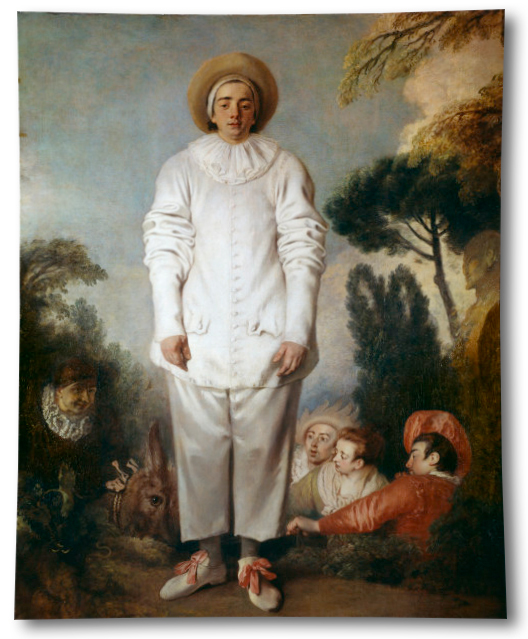 Elsewhere, Watteau’s little men in silver leggings and girls in pink and silver gowns appear to be fish. Appear, yes. It’s all a dream. If you reach out to Paris, your hand will go right through it. You’d expect some kind of hissing noise to emanate from the Theosophical Society, but no. Tomblike silence. 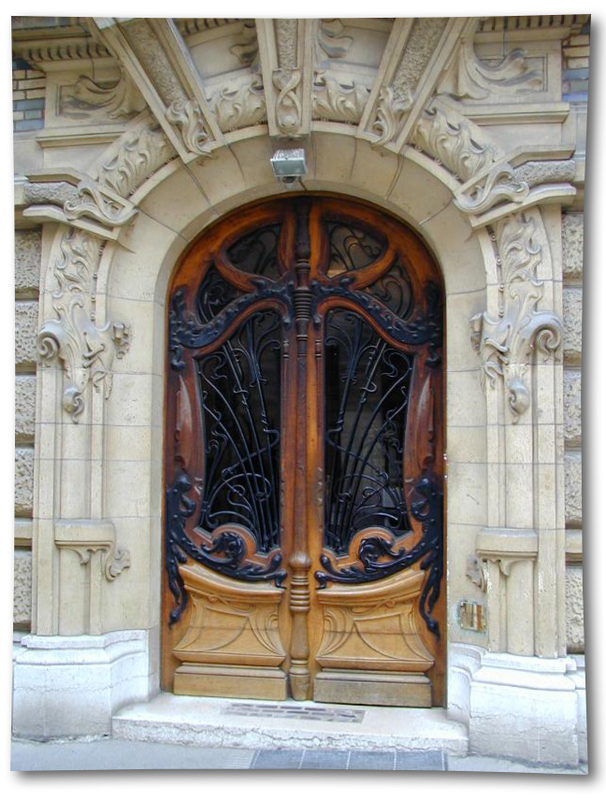 Anyway, try to get into #29 (1901, Jules Lavirotte, arch.) Bang hard on the dazzling art nouveau door. Wear a blue smock and carry a clipboard. Tell them you’re the drains inspector (L’inspecteur des tuyaux or de canalisation). Once inside, get a load of that staircase. Meanwhile, who was the Saudi potentate who owned the Hotel de Lauzun, with the green dragon drainpipes on the quai d’Anjou, Île Saint-Louis—and probably the buildings on either side? No doubt the world’s most pricey property. Well, he sold it to the City of Paris, and now it’s closed to the public. Impersonating l’inspecteur du tuyaux won’t work, but once in a while a tour group is allowed in. And here I’d like to put in a word for the tiny Bar de l’Entracte, 47 rue de Montpensier (1er) around the corner from the Comédie Française. It’s a peaceful, sweet little dump. Just go. Have a beer. And another thing. 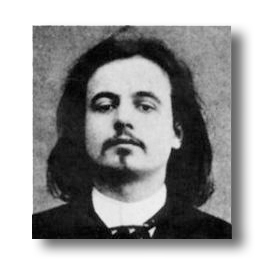 Alastair Brotchie’s delightful Alfred Jarry: A Pataphysical Life, is being neglected. You know who you are. Back at the Louvre. The Martyrdom of Saint Denis, a big fat altarpiece by Henri Bellechose (ca. ) gets its own room. 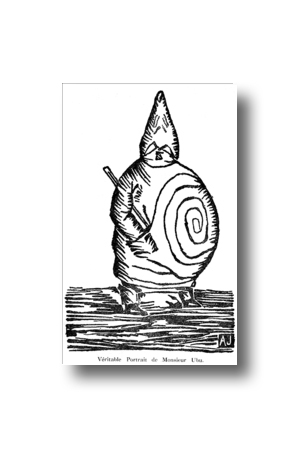 (Mr. Trevor Winkfield would have you believe it’s by Jean Malouel, who also worked for the Duke of Burgundy, but Bellechose’s name was on the receipt.). I guess it is the greatest of them all, if you like chopping heads off. The crucified Christ is accompanied by God the Father and the Holy Spirit. 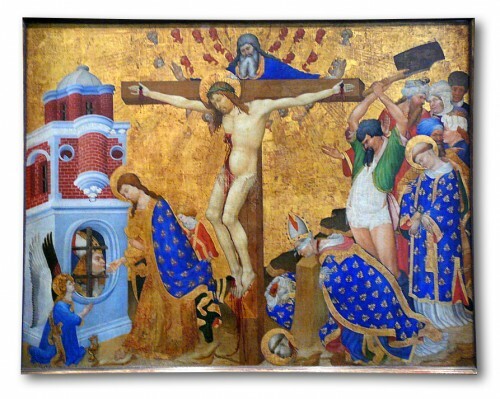 To the left, St. Denis in prison receives the last communion from Jesus, and to the right he is martyred with his companions Rusticus and Eleutherius. That’s all, folks! Okay, it’s not all. 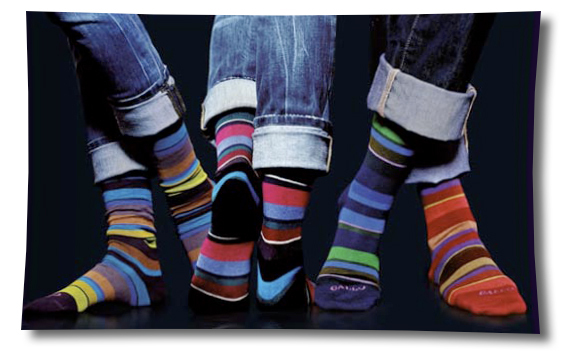 Kimono on boulevard Haussman has a fantastic selection of Gallo socks in various colors and patterns. Halary sells very expensive socks with wonderful birdseye and other patterns. Le Bon Marche has a large sock section. The first Spontex viscose sponge was produced in Beauvais in 1932, and is still going strong. Wonderful thing. Buy it anywhere on either bank. And it’s Jean-Paul Hévin for all your chocolate needs. Hotel de Costes Bar and Lounge (if you dare). For the best upscale escorts, ask for Dani at Le Meurice Hotel. The word atmosphère, on one level, is antique slang for movie extra. Now they’d say figurant. So the screenwriters, Jean Aurenche and Henri Jeanson are having fun. She’s insulted that he’s comparing her, a great star (Arletty, not her character) to an extra. Thanks to Ron Padgett, Olivier Brossard and John Ashbery. 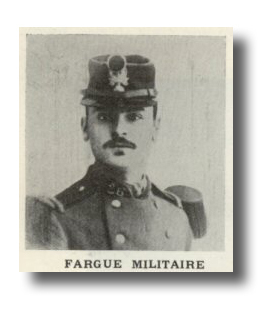 Why did Fargue… …break up with Jarry? Pour 1 1/2 ounces of clarified butter into a pan and heat until smoking, about 400 degrees. Add the shallots and stir briskly. Add the bacon and brown lightly. To this mixture, add the crushed garlic cloves. Stir in the flour and cook until golden brown, about 4 minutes. Add all of the Burgundy and whisk in off the heat. Add the bouillon and stir thoroughly. Now add the lump of sugar, for luck. Pop in the bouquet garni, salt and pepper and simmer for 1 1/2 hours. After 1 hour add the red wine vinegar. At the end of 1 1/2 hours, add 1-ounce fresh butter to the sauce. Pass the sauce through a sieve and scrape every last drop of it through. Return to a clean pan and allow to cook gently. In a skilled cook the garlic in a little clarified butter to release the natural juices. Drop the rounds of bread into the garlic butter and add a little more clarified butter, if necessary. Fry until crisp and golden brown. Prick the wide end of the eggs with an egg pricker or needle and lower them into a pan of boiling water with a wire basket. Count 10 seconds and remove the eggs and break them into a cup. Take the water off the boil and add a pinch of salt and the eggs. Raise the heat and gently poach the eggs. Meanwhile remove the fried bread rounds from their pan and place in heated serving dishes or small bowls. With a slotted spoon remove eggs from water and place each on a piece of garlic bread. Pour the sauce around the egg, leaving some white showing. Garnish with parsley. Recommended drink: Chateau Margaux 1990. Larry Fagin is of Hungarian-Russian-Polish stock. He has lived in Hollywood, Salzburg, Vienna, Wiesbaden, Paris, New York, San Francisco, and London. He edits Adventures in Poetry books and was the founder and artistic director of Danspace at St. Mark’s church-in-the-bowery in Manhattan. His latest books are Dig & Delve (Granary Books) and Complete Fragments (Cuneiform Press).